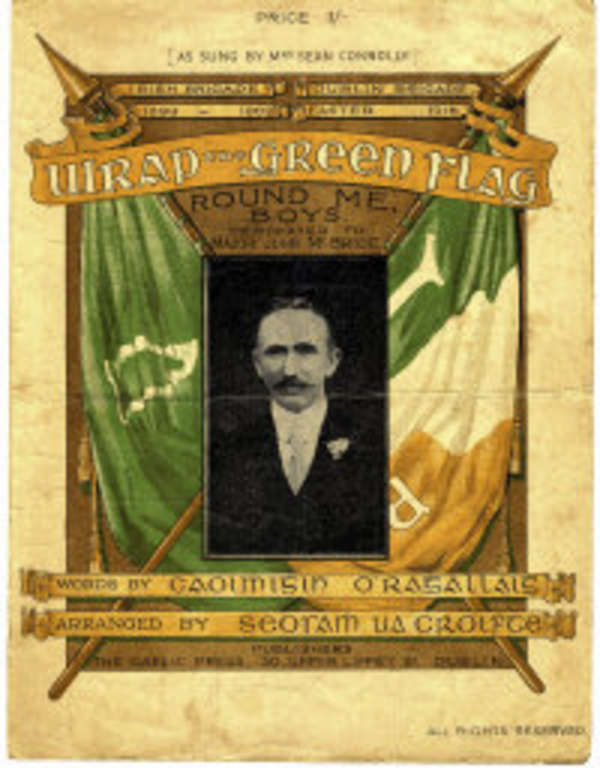 Wrap The Green Flag Round Me Lyrics And Chords. J.K. O' Reilly Luke Kelly from the Dubliners and Brian Roebuck another great singer sang a verse or so of this song, I have yet to here any one do the whole song[except myself] the songwriter John Kevin O'Reilly was a fenian who preached that ''Ireland Would Get Her Courage Only When She Fights For It'' , he proved his word when himself and his five sons fought in the 1916 rising. He died in 1929. The singer here is Luke Kelly with the Dubliners. Would grasp its[A] last bright[D] shred. To[G] be my[A] winding[D] sheet. But I shall not be there. Around the dear old flag.